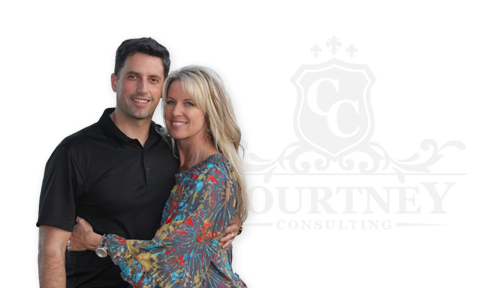 Established in 2002, Courtney Consulting, Inc. originally was an estate planning and consulting firm, but has incorporated several divisions over the years: automotive consulting in 2008, which controlled Steve’s branch company, eAutoWorlds.com, and Lifestyle Marketing consultation, a division established in late 2011 by Amy Courtney – working on this together, we are a husband and wife business consulting firm focused on partnering and training independent business owners to work in the $3.9 billion anti-aging skincare industry. Innovated by the Doctors who created Proactiv and their new business venture, Rodan + Fields, we are able to leverage the clinically proven products and services of a well established corporation for our own personal business growth and teach other entrepreneurs to do the same. As of 2016, Rodan + Fields has developed into the #2 Premium Skin Care company in the U.S. and Canada, and has experienced 106% growth every year over the last 5 years. Continental expansion is on the horizon with Australia set for market development at the end of 2016. We are committed to the success of our rapidly expanding team of independent consultants, and our leadership has developed one of the most successful teams in the US, and we are proud to be Minnesota’s first RFx Circle Achievers and first Lexus earners with Rodan + Fields. If you or someone you know is looking for a new opportunity, contact us to learn more. In September 2011, Amy and Steve had just sent our 25 year old son off to live in Denver, and Amy was a stay at home mom for his eight year old and one year old siblings. Being exhausted from taking care of three kids at such different ages, Amy began looking for anti-age products – she no longer just felt tired, but thought she looked it, too. After coming across Rodan + Fields, Amy not only loved the products and the fantastic results that came, but also saw the value in the business opportunity—she loved the fact that it was a part time opportunity which would allow her to still be at home with our younger children. Amy made the decision to launch our own Rodan + Fields® business, promoted to Level V just eight months later, and achieved her starfire pearl Lexus shortly thereafter. By their 3rd year, Steve was able to retire from his automotive company to join Amy full time in developing their R+F business and in 2015, they achieved RFx Circle, joining a select few in the Top ½% of the company nationwide! Their greatest success to date has been empowering people with Rodan + Fields, whether it is through helping them look and feel better with the products, or opening the door to the business. Their future goals include helping their team members achieve their goals, as well as expanding the opportunity into new states, and soon into new countries. The information on this website has been provided by Courtney Consulting, Inc, a Rodan + Fields Indpendent Consultant. Rodan & Fields, LLC is not responsible for statements or claims made on this website.